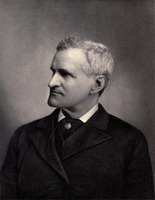 PROWSE, DANIEL WOODLEY, lawyer, politician, judge, historian, essayist, and office holder; b. 12 Sept. 1834 in Port de Grave, Nfld, fourth of the seven children of Robert Prowse and Jane Woodley; m. 13 July 1859 Sarah Anne Edleston Farrar in Sowerby, near Halifax, England, and they had three sons and three daughters; d. 27 Jan. 1914 in St John’s. The Prowse family from which the inimitable judge and historian Daniel Woodley Prowse descended was of Devon origin, and the first member with a direct Newfoundland connection appears to have been Samuel Prowse of Torquay, a West Country trader, who married the eldest daughter of the Mudge family, also of Torquay and with old Newfoundland interests. Their son Robert came to the colony at the age of ten as an apprentice, married a daughter of Daniel Woodley of St Mary Church, Devon, and by the 1830s was in charge of the Conception Bay operations of the St John’s firm Brown, Hoyles and Company. The first four of their children were born in Port de Grave, a settlement of some 400 inhabitants. Acute economic conditions, not helped on occasion by sectarian divisions, created turbulence during these years, and in 1835 the Prowse house and premises were burnt to the ground, whereupon Robert moved with his family to St John’s. A versatile entrepreneur, he soon established under his name a firm that reached some prominence as a supplier to the Bank fishery and an exporter of fish, and in other ventures. Daniel received his early education in St John’s at a private school run by a Miss Beenland and at the Church of England Academy. When he was 14, he was sent to the Collegiate School in Liverpool, England. He subsequently spent two years in Spain to study the language and the Newfoundland-Spanish fish trade with a view to entering his father’s business. 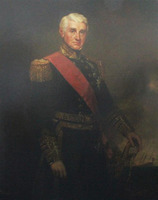 His elder brother Robert Henry became the principal in the firm when, in 1856, their father retired to England with his wife and several of the younger children. Daniel meanwhile had begun the study of law and, like his almost exact contemporary Robert John Pinsent*, also a native of Port de Grave, he was articled to the accomplished lawyer and politician Bryan Robinson*, clearly a marked influence on him. Prowse was called to the bar in 1858, and the following year he married Sarah Farrar, in accordance with the general principle he later formulated: “Marry first and get the . . . job after.” He purchased a substantial property on the outskirts of St John’s in 1860, erected a house, and developed gardens; with a pond, stream, and nearby snipe marshes, it was a setting appropriate for his recreations – “writing, shooting, fishing, gardening, natural history” – and the raising of children. From a marriage of uncommon affection, Prowse launched with gusto into the practice of law, politics, the justiciary, writing, and manifold public services. 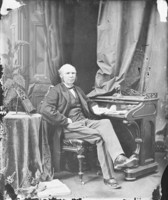 His legal career changed direction with his appointment in 1869 as a judge of circuit court (he would later sit on the Central District Court in St John’s). His duties involved those of stipendiary magistrate, police magistrate, and justice of the peace. These were mostly low-level judicial functions, yet close to the ordinary life of his time. On circuit he acquired unusual familiarity with the communities and people of the colony, his visitations notoriously prolonged when there was a coincident open season on wildfowl, fish, or deer. He brought to his profession, as to sport, energy and thoroughness. Will hover round your house. Prowse’s language both on and off the bench could be exuberant on occasion. In one instance three naval officers, convicted of violating the colony’s game laws, brought a suit against him in the Supreme Court, which, however, found that “an action for slander will not lie against a stipendiary Magistrate for words spoken in his capacity of magistrate.” One of the sentences specified in his Manual, “thirty days,” was remembered among contemporary players of whist, and in the 1920s and 1930s among St John’s poker players, in the expression “a Judge Prowse” for a hand of three tens. In December 1897, on the eve of his retirement, Prowse would write a memorandum to Governor Sir Herbert Harley Murray* in support of a claim for knighthood. He listed his services: his restoration, as superintendent of police, of order to a turbulent capital; the quelling of disturbances in the fishing towns of Harbour Grace and Catalina following reports of the failure of Ridley and Sons in 1870 [see Thomas Ridley*]; the arrest of forgers of Commercial Bank notes and the recovery of the notes on the French island of Saint-Pierre in 1874; the restoration of order on the then unregulated frontier area of St George’s Bay in 1877; his firm handling of the riotous opposition by landowners to the construction of the railway on the Avalon peninsula. Next to his Manual and his History, Prowse gave pride of place to his nautical adventures in the late 1880s, when “at an hour’s notice I was sent off to Fortune Bay with two old tugs to carry out the Bait Act.” The act restricted the sale and export of bait fish taken in Newfoundland waters to the French cod fishery, and it was enforced by Prowse and his flotilla with an energy and enthusiasm that comes through even the characteristically cautious notation of Attorney General Sir James Spearman Winter on Prowse’s record. “I think he has somewhat overstated the value of his work, and in others he went a little outside of his proper sphere. . . . I can bear testimony to . . . the fearlessness of consequences which he has always shewn in what he believed to be the discharge of his duty.” But for Prowse his adventures as “Admiral of the Bait Squadron” marked “the turning-point in my life.” His plunge into a modern episode of the ancient rivalry between English and French in Newfoundland led him to study not only the legal and other aspects of the immediate confrontation, but also the long tale of a fishery which he saw as a major theme in the history of the colony itself. In the time his other duties allowed, he now immersed himself in the materials that came to hand or could be collected on a subject which would occupy him for seven years. A hundred years after its appearance in 1895 Prowse’s History remains unchallenged, for the four centuries that it covers, as the best (some would say “unfortunately the best”) general history of Newfoundland. 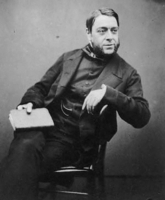 He had able predecessors: John Reeves*, Lewis Amadeus Anspach*, Charles Pedley*, and others whose interpretations of their common subject left their mark on his work. But what distinguishes Prowse’s ample study, considered as a work of its time, is not simply its scale but his uncommon use, as the title-page declares, of the “English, colonial, and foreign records.” His bibliography of the published sources used in writing the book stood for decades as the most comprehensive listing in print. His net was cast wider than the printed documents, however: uncalendared state papers, commercial, parish, and other local records on both sides of the Atlantic, and French, Spanish, and Portuguese sources were also drawn on. In gathering his primary material Prowse was assisted by his older sons, especially George Robert Farrar Prowse, an indefatigable worker in the British and European archives who helped to see the History through the press. Prominent in the work is Prowse’s intention not only to describe how the colony grew but also to show the influence of its founding on England, and thus to avoid the frequent limitation of contemporary colonial writers, who looked at the world from the wrong end of a telescope. His work expands on that of James Anthony Froude on the rise of the first British empire, but with a clearer sense than Froude’s of the economic drive of the West Country–Newfoundland enterprise. 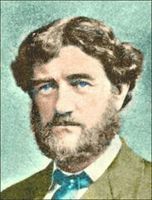 Prowse was well read in the work of the great historians of his century, Lord Macaulay and Henry Hallam in Britain, for instance, but equally the Americans John Lothrop Motley, William Hickling Prescott, and Francis Parkman*. He knew and corresponded with his contemporary New England colleagues Justin Winsor, an authority on the voyages of Jacques Cartier*; Charles Levi Woodbury, an expert on the fisheries of the North Atlantic; and James Phinney Baxter, who studied the coeval overseas plantation of Maine. Among these readers the reception of Prowse’s work was immediate and warm. That marked thy long judicial life. Retirement, however, did not diminish Prowse’s energies or narrow the range of his activities; it expanded them. In 1900 Cabot Tower, an imposing granite structure on the highest point of Signal Hill, overlooking the entrance to St John’s Harbour, was officially opened. Its initiation three years earlier was largely the result of Prowse’s unflagging energy and imagination as secretary of a committee formed to raise funds for a monument commemorating John Cabot*’s voyage of 1497 and the diamond jubilee of Victoria’s reign, while also providing a modern ships’ signalling facility – and, incidentally, eclipsing the modest brass tablet to Cabot placed at Halifax by the Royal Society of Canada. 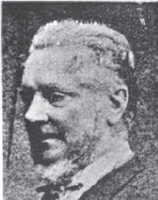 In 1901, to boost his modest pension, Prowse was appointed secretary of the fisheries board, which he helped to make a useful centre of information from other fishing nations. 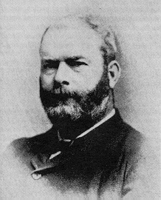 He was indefatigable in pressing for the passage of an act respecting libraries and the securing of a grant from American philanthropist Andrew Carnegie to establish a library in St John’s, which had been bereft of such an institution since the destruction of the Athenæum in the great fire of 1892. With James Johnstone Rogerson*, James Patrick Howley, William Frederick Lloyd*, and others, he was a founder in 1906 of the Newfoundland Historical Society, which replaced the lapsed Newfoundland Historical and Statistical Society, and he was a frequent lecturer, as he had been in the earlier organization. Prowse continued, but now in a torrent, writing his essays and periodical articles. 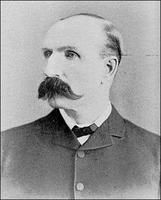 In 1901, a typical year, he revised his long article on Newfoundland for the tenth edition of the Encyclopædia Britannica; published essays on France in Newfoundland, Cromwell, the United States and the North American fisheries, French colonization and functionaries, and the life of Jean Serres, a Huguenot galley-slave, in journals on both sides of the Atlantic; and contributed a paper on the Treaty Shore question to the Canadian Law Review (Toronto) and a regular column on the military strategy of the South African War to the Daily News. 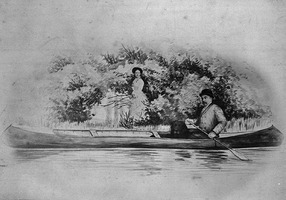 At the same time he was drafting essays soon to appear in the newly founded Newfoundland Quarterly and in the Cornhill (London) and McClure’s (New York) magazines: a sketch of the experiences of “an old colonial judge” on circuit, a singular record of the practice of “wracking,” or looting, shipwrecks among coastal people, memories of hunting and fishing over a long lifetime, the growing of hardy annuals in the thin soil and short summers of Newfoundland, obituaries of his contemporaries as they passed on before him, and, as always, gasconading essays “booming” Newfoundland with wit and style. [Daniel Woodley Prowse is the subject of a brilliant one-man play, Judge Prowse presiding (1989), by the actor and writer Frank Holden. 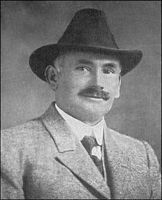 Genealogical details were provided by K. J. R. Prowse of Deer Lake, Nfld, the subject’s only surviving nephew. Anecdotes concerning him have been collected by the author from Mr Prowse, Len Murphy, and the late Harry Conroy, Captain Colin Story, and Mrs Beatrice [Story] Gaze. The first edition of A history of Newfoundland from the English, colonial, and foreign records appeared at London and New York in 1895, and has been reprinted (Belleville, Ont., 1972); the second edition was published in London in 1896, and the third, with Prowse’s revisions and additional material supplied by James R. Thoms and F. Burnham Gill, at St John’s in 1971. An account of the third edition’s troubled history appears in my article, “Judge Prowse: historian and publicist,” Newfoundland Quarterly (St John’s), 68 (1971–72), no.4: 19–25. Just before his retirement, Prowse published The justices’ manual . . . (2nd ed., St John’s, 1898), a revised version of his 1877 Manual for magistrates thrice the size of the original. He also prepared second and third editions of The Newfoundland guide book . . . (London), both issued in 1911. Centre for Newfoundland Studies, Arch., MF-270 (D. W. Prowse scrapbook). Courier (St John’s), 29 Jan. 1868. Daily News (St John’s), 7 June, 14 Nov. 1895; 28 Jan. 1914. Evening Telegram (St John’s), 29 June, 13–14 Nov. 1895; 28 Jan. 1914. Morning Chronicle (St John’s), 15 Oct. 1867, 1 March 1869, 16 April 1870. Royal Gazette and Newfoundland Advertiser (St John’s), August–December 1907. Times (London), 28 July 1859. 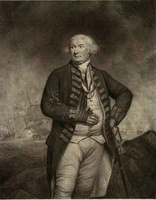 J. E. Candow, “Daniel Woodley Prowse and the origin of Cabot Tower” and “Cabot Tower: the Prowse–‘Mariner’ correspondence,” Parks Canada, National hist. parks and sites branch, Research Bull. (Ottawa), nos.155 and 156 (both issued 1981). St John Chadwick, Newfoundland: island into province (Cambridge, Eng., 1967), c.3. Encyclopedia of Nfld (Smallwood et al. ), 1: 687–88. Philip Gosse, An apple a day (London, 1948), c.8. McKay v. Prowse (1878), Newfoundland Reports (St John’s), 6: 166–68. Keith Matthews, “Historical fence building: a critique of the historiography of Newfoundland,” Newfoundland Quarterly, 74 (1978–79), no.1: 21–30; Lectures on the history of Newfoundland, 1500–1830 (St John’s, 1988). J. G. Millais, Newfoundland and its untrodden ways (London, 1907; repr. New York, 1967), 79. M. P. Murphy, Pathways through yesteryear: historic tales of old St John’s, ed. G. S. Moore (St John’s, 1976), 147. Nfld, House of Assembly, Journal, 1869–97, app., reports of police magistrates. Newfoundland Hist. Soc., Constitution of the Newfoundland Historical Society (St John’s, 1906; copy in its arch., St John’s). G. M. Story, “D. W. Prowse and nineteenth-century colonial historiography,” in Newfoundland Hist. Soc., Newfoundland history 1986: proceedings of the first Newfoundland Historical Society conference . . . , ed. 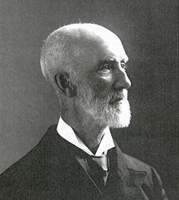 Shannon Ryan ([St John’s, 1986]), 34–45; “Judge Prowse (1834–1914),” Newfoundland Quarterly, 68, no.1: 15–25. F. F. Thompson, The French Shore problem in Newfoundland: an imperial study (Toronto, 1961), c.4. Isabella Whiteford Rogerson, The Victorian triumph and other poems (Toronto, 1898), 149. G. M. Story, “PROWSE, DANIEL WOODLEY,” in Dictionary of Canadian Biography, vol. 14, University of Toronto/Université Laval, 2003–, accessed April 24, 2019, http://www.biographi.ca/en/bio/prowse_daniel_woodley_14E.html.